One of my online swap friends suggested a seahorse themed swap and I went a little overboard and made 5 seahorse swaps! 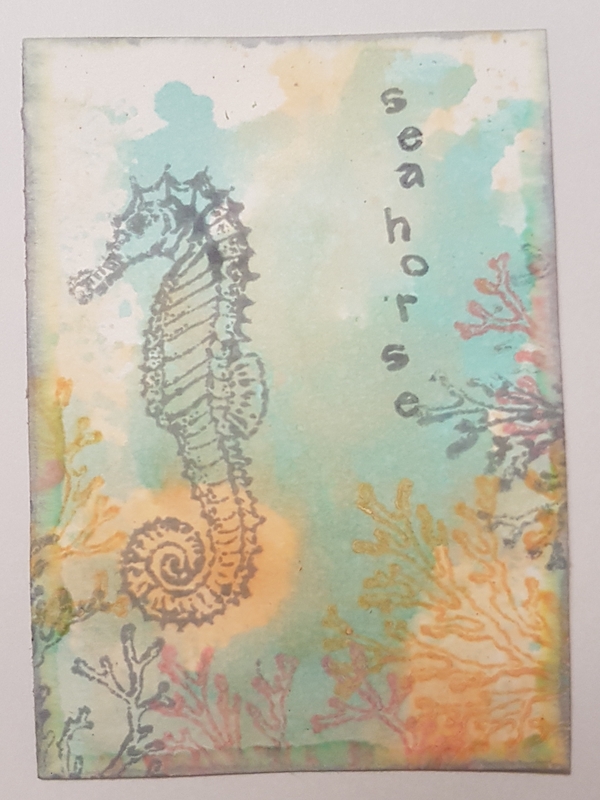 It helped that the stamps with Creative stamping magazine were nautical themed and included a seahorse. This started as a piece of map and a piece of brayered paper. 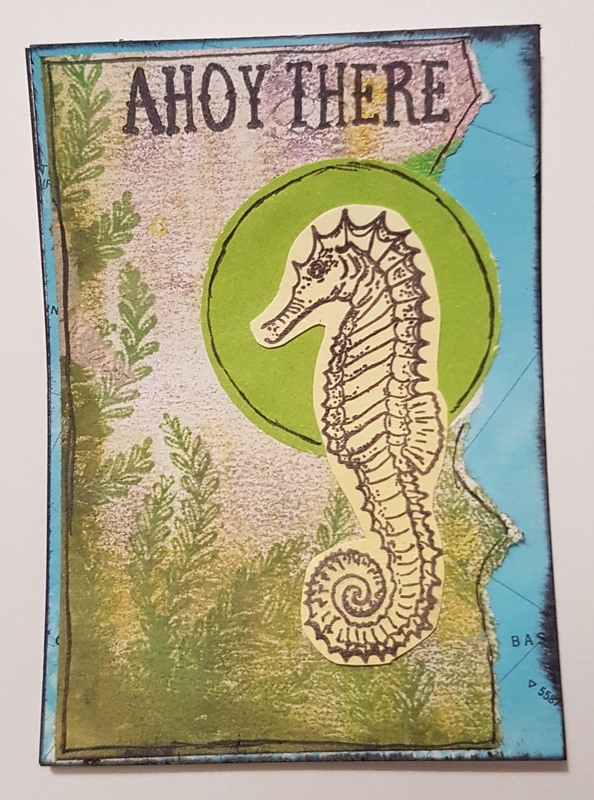 I added the seaweed stampong and then the stamped and cut out seahorse with the circle of paper added for contrast. This was a piece of inked paper I had added black gesso through a stencil on and then added more stencilling. 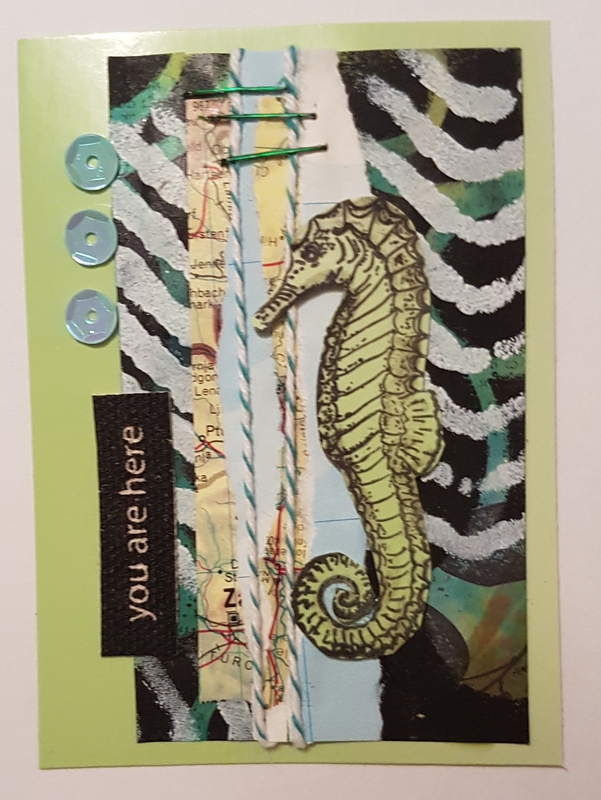 I added some map pieces and then the twine and the seahorse. I then mounted it onto the green base. I added the sticker and sequins as embellishments. This was a piece of inked background and I added distress oxide stamping to it. This piece of map had clear gesso and distress oxide added to it and then some sewing to finish off the edges. 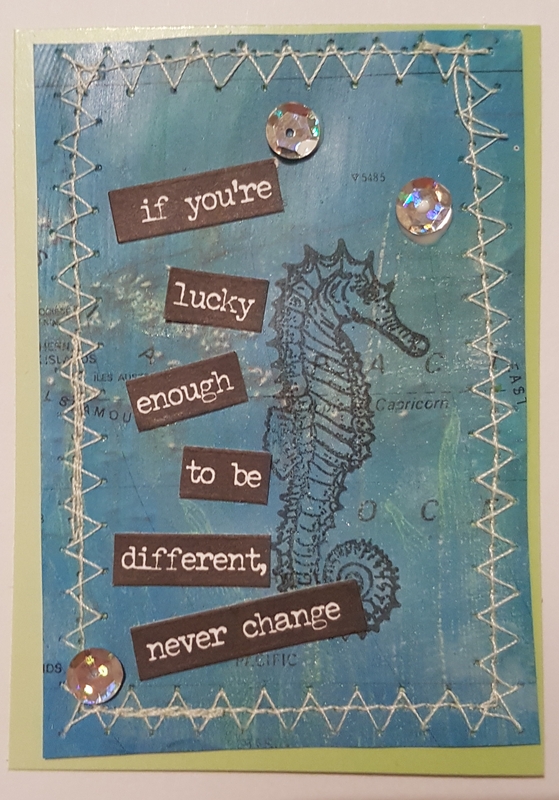 I then stamped the seahorse onto it (this was the Indigo Blu one). Then added the sequins. Finally a piece of scratch paper onto which I heat embossed the compass in clear powder and then added the distress stain onto it. The embossing and paints resisted the blue ink. I love the finish this gave. I mounted it onto map paper and added the sequins and title sticker too. 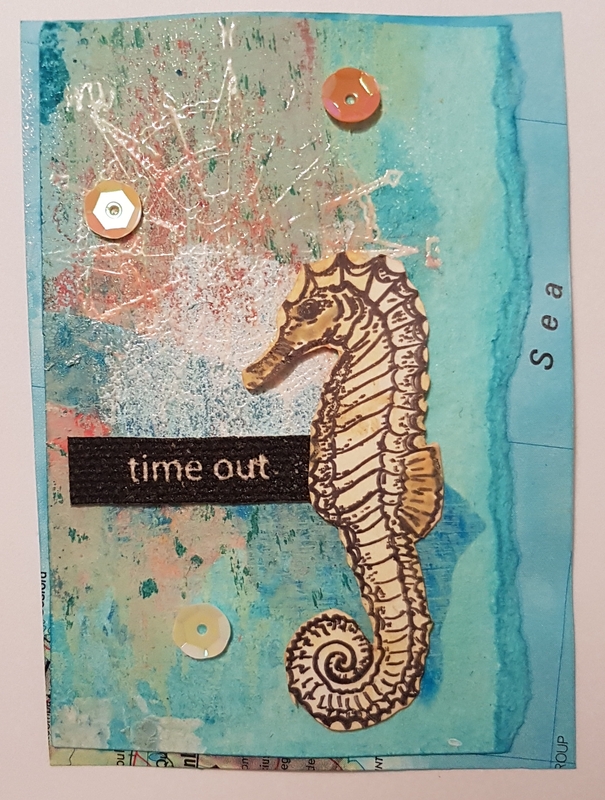 Such a fun time making these different themed atcs.